MadCap Software, Inc., the leader in multi-channel content authoring and a showcase company for Microsoft Visual Studio, announced that MadCap Flare 2019 and MadCap Central April 2019 Release are now available. Together, the latest versions provide more comprehensive functionality than ever for creating, reviewing and delivering modern online Help, technical documentation, training content, and knowledge management centers. MadCap Flare and MadCap Central are part of the MadCap Authoring and Management System (AMS). 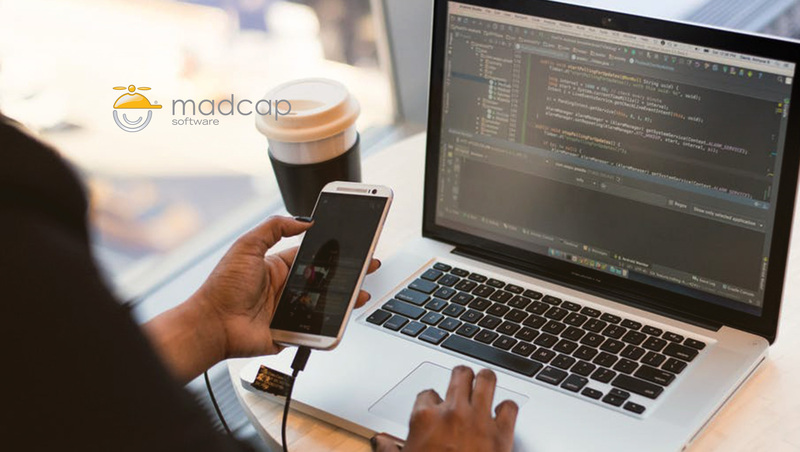 Combining the power of desktop authoring with the convenience of the cloud, MadCap AMS provides a complete solution to support the entire content development lifecycle. MadCap Flare offers cutting-edge technical authoring and publishing capabilities with advanced features to maximize authoring efficiency, content reuse, and multi-channel publishing. MadCap Central is the first cloud-based platform for content and project management designed specifically for the documentation industry. As a result, content developers can leverage one integrated system to streamline their content delivery, from authoring, publishing and translation to cloud-based project, content and workflow management. MadCap Flare is used by thousands of companies worldwide to create and publish their technical documentation, user guides, instruction manuals, online Help, and support websites to any number of print, web, desktop and mobile formats in users’ languages of choice. It is the only professional authoring and publishing solution that allows authors to create and publish not only responsive HTML5 output with top and side navigation—which more closely resembles a modern, search engine-optimized, and completely customizable informational website—but also high-end print documentation from the same source of content. Additionally, a native XML architecture gives MadCap Flare the extensibility of leading enterprise content management (ECM) systems. MadCap Flare 2019 is the first software for technical authoring and documentation that now offers the ability to author new and tag existing content as micro content. Micro content is short, concise information that stands alone and is easily consumable by users and machine-learning applications. Most people experience micro content when they conduct a Google search, and the results include a “featured snippet” that provides a definition or an answer to a question or a chatbot user asking specific questions. Using the new Micro Content Editor in MadCap Flare, authors now can create new micro content directly or repurpose existing content, and then add micro content in a Flare project to corresponding search queries. Similar to Google, the featured snippets in Flare output appear above regular search results, ensuring that this targeted information is seen before anything else, rather than being buried in the results, greatly enhancing the user experience. Today, the delivery of micro content for search results is available out of the box. However, the micro content in MadCap Flare also can be customized for use in chatbots, virtual reality instructions, field-level Help, and a frequently asked questions (FAQ) database, among other applications. With the latest release, MadCap Flare offers several other new and enhanced capabilities for delivering modern, best-in-class content, including a plugin for Zendesk, CSS variables, and fully localized Chinese UI. Zendesk Plugin – MadCap Connect for Zendesk complements the MadCap Connect for Salesforce plugin, enabling authors to integrate their MadCap Flare content with the leading cloud-based solutions for help desk centers and customer relationship management, respectively. Using the new MadCap Connect for Zendesk plugin, authors can publish MadCap Flare output to a Zendesk Help Center dashboard, enhancing the ability of knowledge bases or FAQs to support any service desk tickets on a help desk user’s Zendesk dashboard. CSS Variables – Variables have always been available for use with content in MadCap Flare, but now they are also available with the look and feel of the content to enhance single-sourcing. These CSS variables let authors place the value for a style in one place and reuse it throughout a stylesheet. To change a value, an author only needs to do so in one place, and the new value is propagated everywhere that the variable is referenced—saving time and ensuring consistency. Chinese UI – The growth of businesses in China seeking to provide modern documentation is rapidly growing. Now, with MadCap Flare 2019, authors there can take advantage of Chinese language technical authoring software for the first time, rather than having to use general word processing software. When users launch MadCap Flare, a dialog displays asking them to select a UI Language, including Chinese in addition to English, French, German, and Japanese.